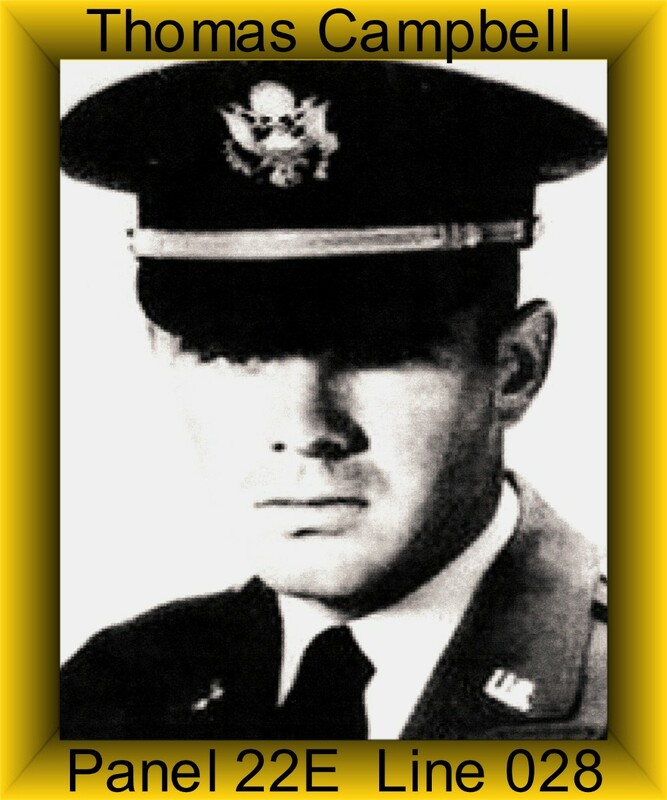 Thomas Campbell was assigned to Charlie Troop on March 23, 1967 and was Killed in Action on June 21, 1967. Thomas was a Pilot of an UH-1C Helicopter. Thomas was awarded the Purple Heart, Air Medal, National Defense Service Medal, Vietnam Campaign Medal, Vietnam Service Medal and a set of Army Aviator Wings.